Maximilian was a busy man at E3 2013. Most notably he has been on top of every tidbit of Killer Instinct. Watch his interview with one of the game's designers on manual combos. E3 2013 was filled with surprises. Long time fans of the Killer Instinct series got to witness the reveal of a new title coming exclusively to Microsoft's Xbox One console. 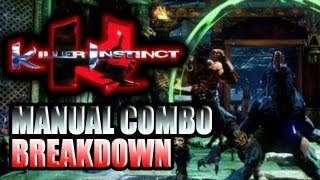 Maximilian was on the scene to interview one of the game's designers Dave Verfaille on manual combos.